It's becoming a bit of a running gag that Bethesda will put Skyrim on anything as it continues to milk the popular game for all it's worth. So naturally, everyone thought the Alexa version of Skyrim Bethesda demoed in its E3 press event was a self-aware joke. Nope, it's completely real, and you can play it right now. This audio-only version of Skyrim doesn't require any leg work to set up. 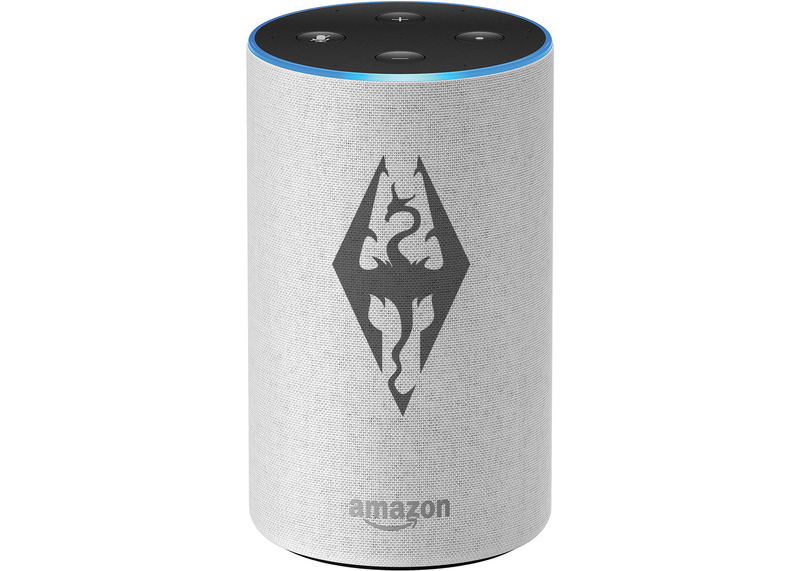 If you've got an Alexa-enabled device, just ask it to "Open Skyrim." You don't even need to install it as an Alexa skill. If you don't have an Echo speaker, you can install the Alexa app on your phone and play Skyrim right on your device. The promo video above offers a taste of what awaits, and props to Bethesda for recognizing the value of wheels of cheese. Skyrim: Very Special Edition is basically a choose your own adventure game set in Skyrim. You are, of course, Dovahkiin—the dragonborn. The game offers you various options or questing and exploring. When you encounter danger, you can say things like "cast spell" or "flee." While the Alexa version of Skyrim was real, I'm still pretty sure the pager and smart refrigerator versions at the end of the video are fake. Well, for now. I wouldn't put anything past Bethesda at this point.